E’s school (he goes to a private Montessori school in case you haven’t been keeping score) is having their annual spring auction in conjunction with the spring fair. This school goes all out and really takes the time to solicit some great businesses. The parents are also really generous in buying the fair items and donating items or services for sale. 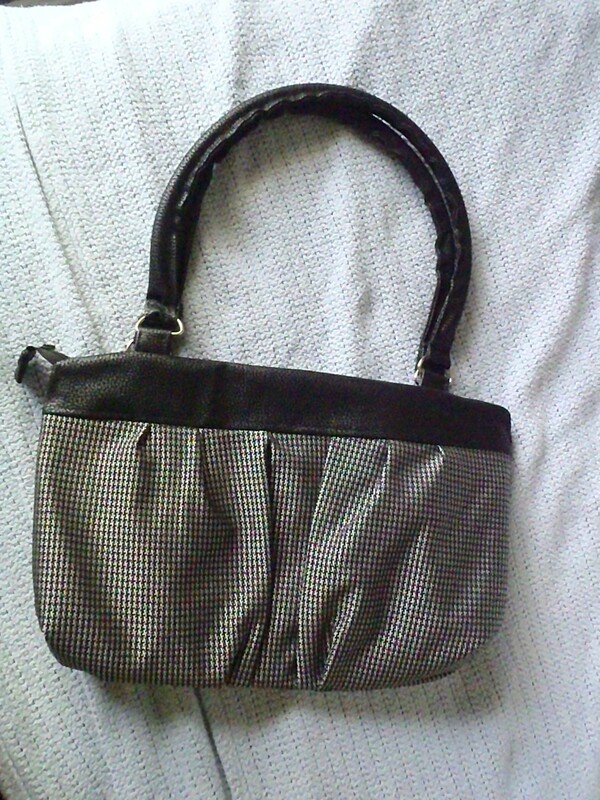 As someone who has a budding small business, I decided to donate one of my handbags this year. I designed one based on a design I had been seeing around the internet. I really liked the gathering of the body and the sleekness of the top so I chose my fabrics accordingly. I don’t know what her name is, but she’s beautiful! I even made the piped handles!! 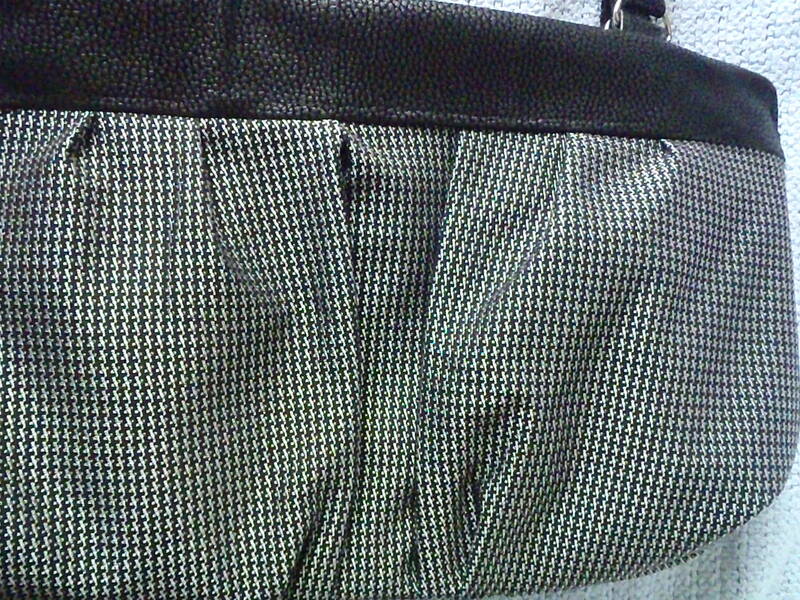 But first, the fabrics are a silver and black houndstooth and the solid black you see is a faux leather. 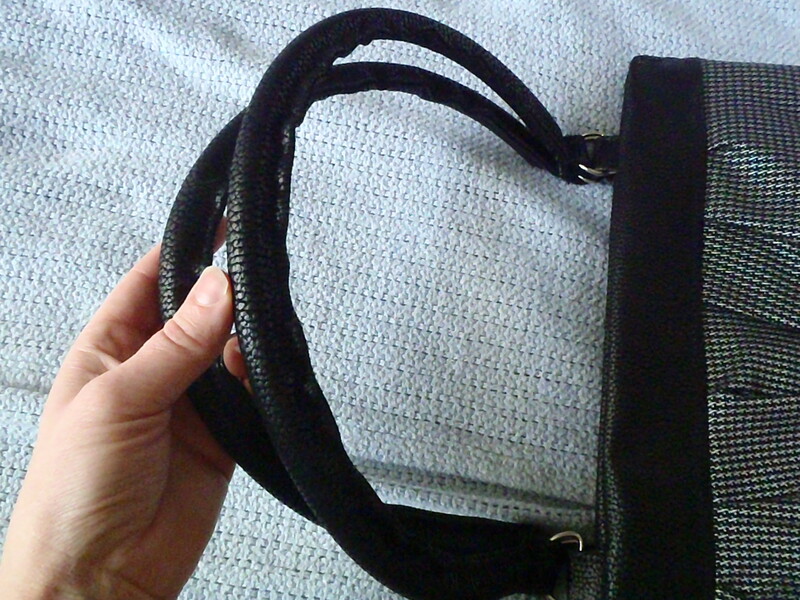 And since I made the handles myself, they are the same fabric as the top edge of the bag. Piped Handles! Made with love. Here is a close up of the houndstooth. And I really went all out on the interior of the bag. 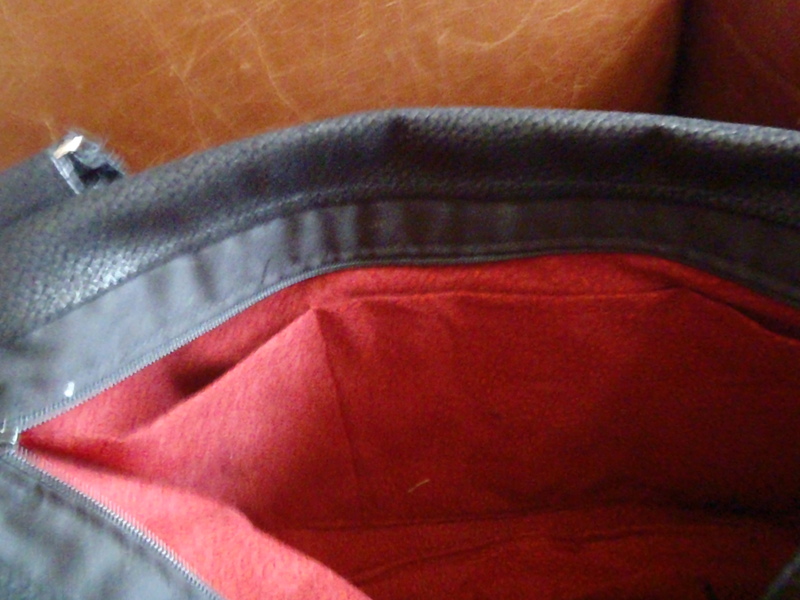 A inset zippered top, an in-lining zip (just like you see in bags bought in “real” stores), and two slip pockets – one big enough for a Kindle and one big enough for a iPhone. See that zip top? It’s amazing. 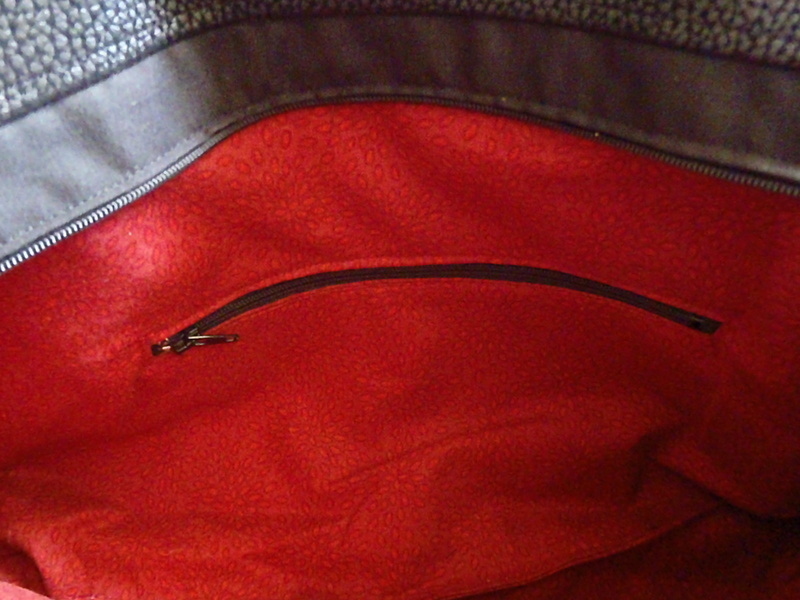 Not to mention the in-lining pocket! I feel like such a pro! Slip pocket! Every bag should have one. I think the color of the lining is pretty luscious and a bold contrast against the black of the faux-leather top. I am loving this bag. I had my neighbor, Cate, try it out for size and we both found the handles the absolute right length. 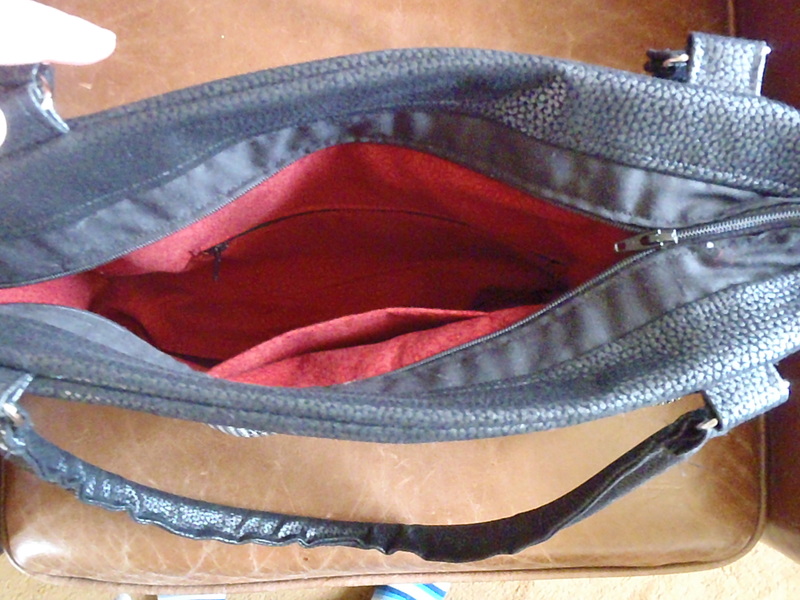 The body of the bag is a perfect medium size so with the handles the middle of the body of the bad hits at your elbow. A very, very comfortable length. And it’s going to hold a lot of stuff with a lot of style! Look for more of these to come out of my workshop for the December sale. Or if you want to order one let me know.